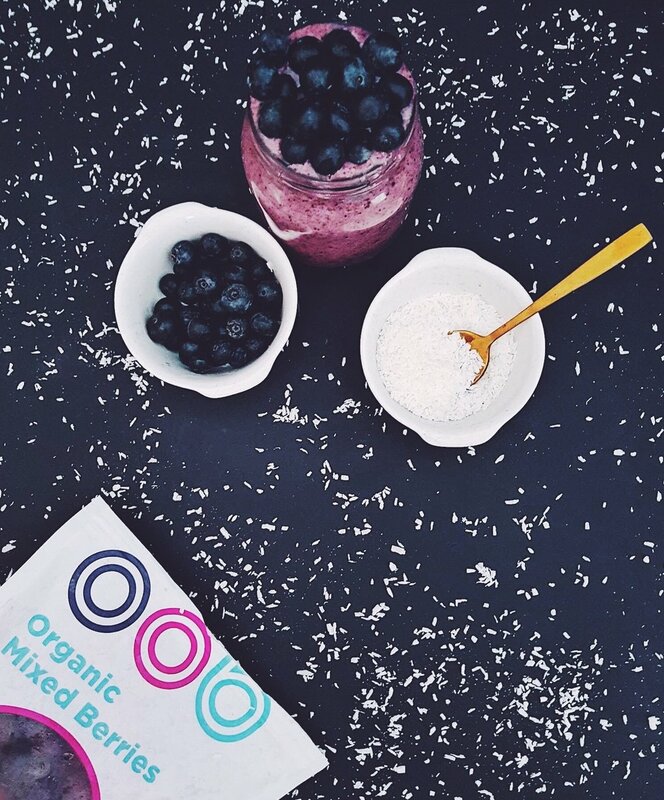 MIXED BERRY SMOOTHIE!😍🍓 What a way to wake up with a delicious smoothie that will FILL YOU UP!🍓 I've partnered with @oob.organic to bring you this delicious mixed berry smoothie, using their organic frozen mixed berries! Add all ingredients except the cacao nibs into the blender and blend to your desired consistency. Sprinkle cacao nibs on top and drink! Blend frozen bananas in blender or food processor on high speed until smooth + creamy consistency. Add frozen raspberries + blend until smooth. Libby's based in Tauranga (NZ) where she runs her own salon Epsilon Hair. She's overcome health obstacles with a more natural and organic diet, which has also shaped her passion today as she shares her experience with others. Find out more about Libby's story here. Recipe makes 12 large muffins OR 12 medium and 12 mini muffins. Preheat oven to 190 degrees fanbake. Oil or line muffin trays. Mash the bananas thoroughly. Mix together with remaining wet ingredients. Add the wet and dry ingredients together and combine, then add the blueberries and walnuts – break the walnuts into small pieces . Cook for 18 – 22 minutes. Zentrofan flour has been air milled without heat to protect the nutrients. The 7 grain version is only 60% wheat, with added rye, barley, oat, millet, rice and corn flours to reduce the gluten and add nutrients. You could substitute this for any flour you prefer. You could use any non-dairy milk if you don’t have almond milk. Paige is a busy mother of two (under two), living a busy life playing, exploring and having fun with her kids (and of course always cleaning, cooking & baking). Paige is passionate about fitness & healthy living, with a focus on living plastic free. She gets peace of mind with her yoga practice... and by feeding her kids organic food she knows they're getting the very best nutrition.. In a small bowl, whisk together the flour, baking powder, baking soda, and salt. In a separate bowl, whisk together the coconut oil, egg whites, and vanilla. Stir in the oob organic mashed banana and Greek yogurt, mixing until no large lumps of yogurt remain. 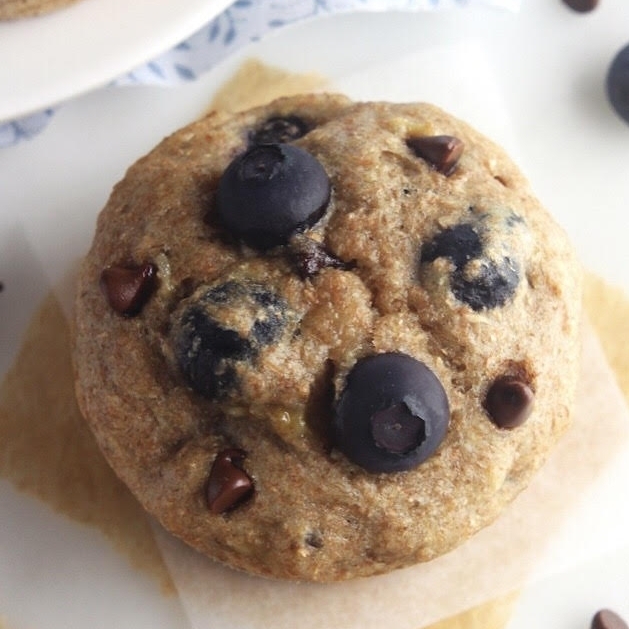 Gently fold in the oob organic blueberries and chocolate chips. Evenly divide the batter between the prepared muffin cups. Bake at 350°F for 16-19 minutes, or until a toothpick inserted into the center comes out clean. Cool in the muffin cups for 10 minutes before carefully transferring to a wire rack. Preheat oven to 180C and line a muffin tray with liners. Add all dry ingredients into a large bowl and mix until combined and there are no lumps. In a separate bowl, mash the bananas with the back of a fork until broken down. Add mashed bananas and milk to the dry mixture and mix until combined. Add the frozen raspberries and mix until combined. Spoon mixture into lined muffin tray. Sprinkle remaining raspberries and white chocolate on top. Bake in oven for 15 minutes or until a skewer can be inserted into a muffin and comes out dry. Cool muffins in tray for 5 minutes. Enjoy immediately or store in an airtight container in the fridge for up to 5 days. 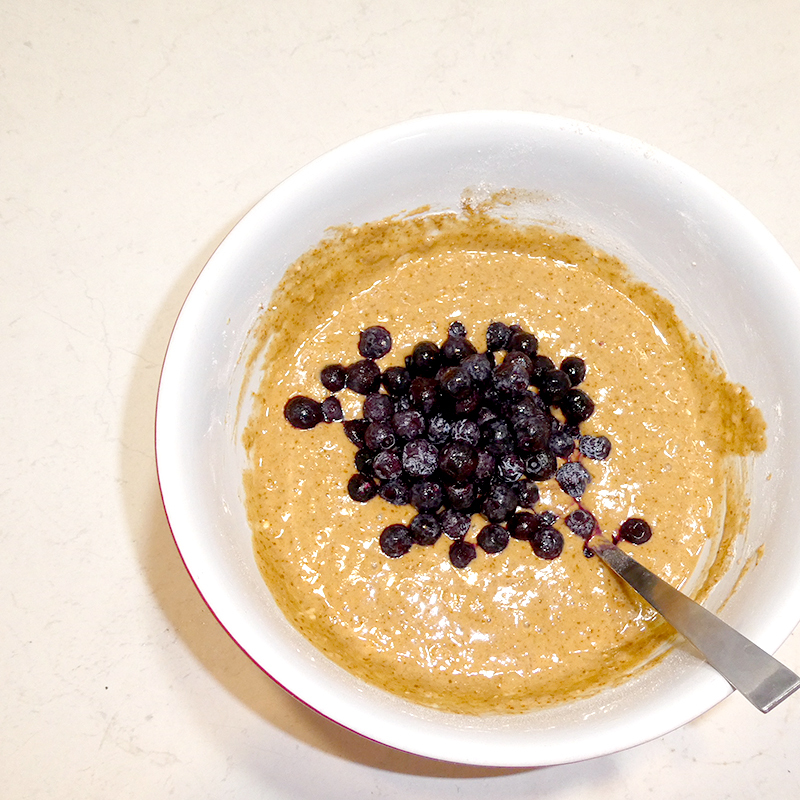 Chuck your ingredients in a blender and whiz away! The one important rule is to not overfill your blender and adjust measurements accordingly, enjoy the liquid goodness. There are some days that just call for coffee, this banana espresso breakfast smoothie provides both the breakfast and a coffee jump start in one cool creamy glass. Blend all ingredients into a creamy smoothie. 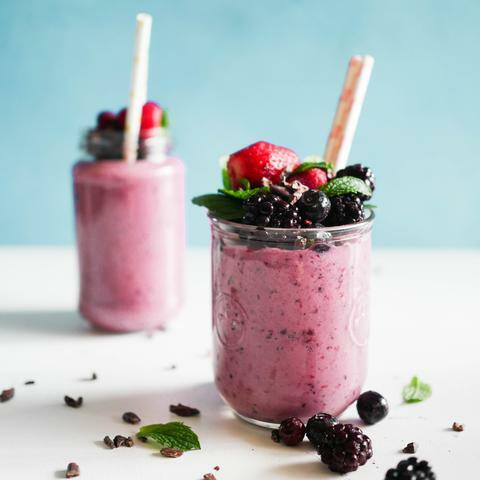 You cannot go wrong with this blueberry and almond smoothie, the addition of almond butter brings a lovely roasted flavour to this lovely blue smoothie. The healthy fats and protein from the almonds provide a more sustained energy too. Just blend all ingredients into a creamy smoothie & enjoy ! Whether you are looking healthy dessert ideas or want to take your post workout snack to the next level, this one’s for you! This recipe has been created by Amanda, one of our fans here in Omaha! This dairy free freakshake combines classic flavour combinations of banana, caramel, nuts and chocolate. It’s packed with fibre and 41g of protein per serve, plus all the goodness of oob organic bananas, with the option to indulge in a drizzle of toasty coconut caramel to complete the picture. We went dairy free for this one but you can alternate with delicious organic dairy milk + yogurt options which is really tasty too. Make the batches of brownie bites and coconut caramel ahead of time, these can be kept in fridge until you are ready to construct your organic freakshake. Reduce wasting fresh bananas by keeping some oob organic frozen banana in your freezer, and just use only what you need when you’re in the mood for a Caramel Banana Split Freakshake. Pop all ingredients into a blender until smooth and serve. Blend frozen banana in processor until creamy consistency. Use for freakshake immediately or store in freezer. Blend all ingredients in food processor until smooth and combined. Pop into a cake tin and sprinkle with dessicated coconut to garnish. Bake 180 degrees C for 10 – 15 minutes until firm to the touch. Once cooled, cut into 12 portions and store in the fridge. Pop all ingredients into small saucepan and bring to the boil stirring constantly. Once boiling, reduce the heat and simmer for about 5 minutes until the mixture starts to thicken. Once glossy and slightly thickened, take off the heat and allow to cool. Store in the fridge. Prepare your brownie bites and toasty coconut caramel ahead of time. Chill serving glasses in fridge. Melt 4 squares of dark chocolate and 1 tsp of coconut oil for the garnish. Using a spoon, drip melted chocolate around the rim of chilled glass before coating in dessicated coconut. Drip melted chocolate onto the inside of the glass for decoration. Prepare your Banana-Nut Smoothie divide this into the two garnished glasses. Pop these in fridge as you prepare your nice cream. Prepare your Banana Nice Cream, and place a good dollop of this on top of the Banana-Nut Smoothie as desired. Balance a brownie bite on the edge of the glass, using some caramel or melted chocolate to secure. Time to bring this bad boy home… drizzle with coconut caramel and finish with some chopped nuts of your choice (we used 3 x organic raw almonds). The nice cream will start melting into the smoothie along with the caramel and it’s all deliciousness. Devour immediately. Preheat oven to 170C. Line the base of a slice tin with baking paper. Cream butter, sugar and vanilla essence. Add flour and baking powder to create a pastry dough. Divide dough into thirds. Set one third aside in the freezer for later to use for the topping. Use two thirds for the base, by pressing into lined slice tin. Melt butter, golden syrup and condensed milk over medium heat, stirring all the time, until thick and golden. Pour over base. Evenly spread oob organic Frozen Sliced Banana on top of caramel filling. Take remaining pastry dough from freezer and grate over the top of the oob organic Frozen Sliced Banana to form a crumble. Bake for 35 – 40 mins. Serve warm with oob organic Vanilla Ice Cream.